One of the serious monetary bonuses of being patient is that you can buy games at a bargain price. Instead of rushing to the stores the day after a title is released, you wait for a few weeks, months or even years, and then you buy the game at a serious discount. This is what happened to me with Crysis. In its day, it was dubbed one of the most visually engaging first person shooters, but that was four years ago. I didn't buy it then, but I did sometime in 2011, for just USD11 or so. Even then, I did not install the game, instead I let it collect dust for almost another year. Then, I finished my third book, had a moment of quiet, and decided to test it. Anyhow, this is my review of Crysis. It comes late, but then I am still occasionally reviewing awesome DOS games, so I do not think there's a relevance issue here, except the fact I am not basking in any publicity glory like some of the dedicated gaming sites. All right, if you care what this oldish git has to say, then please do follow me for a lovely read. You play the game as Nomad, a Delta Force operative wearing a special Nanosuit. This state-of-the-art technology is a sort of a bio-mechanical enhancement garment, allowing you to improve your physical defense, strength and speed by using the suit's energy. And you can also cloak yourself, reducing your visibility. All in all, you're kind of a modern warrior in a futuristic setting, and you're landed in the far east Asian theater of war, in 2020. That's what Crysis gives you on paper. In reality, it approaches the problem of killing people like any other typical shooter designed for the typical youth - with an arcade level of realism. The plot is very, very linear. You advance down a very narrow corridor of activity, where you trigger pre-scripted behavior of your opponents. If you stop for a moment, you will be surrounded by ambient noise and stunning graphics, but the actual combat will wait for you to make your next move. You will be unable to complete missions unless you do very specific things, and they are fully repeatable, without a single ounce of randomness. This same phenomenon afflicts many other titles. Call of Duty is right there in the middle. Red Orchestra, too. In fact, the older I get and the less patience I have for bells and whistles, the more I find these kinds of shooters boring. And I also happen to suffer from the Operation Flashpoint post-play syndrome. Once you've had a go at a realistic, serious shooter like it, or its rather solid successor, ArmA II, including the ultra-frightening zombie flavor mod, if you must, you will never be able to truly enjoy another simplistic, arcade-style game. Honest. 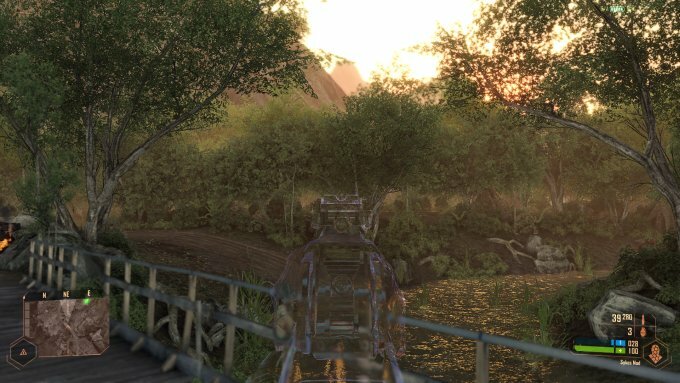 There's simply no challenge in playing Crysis. 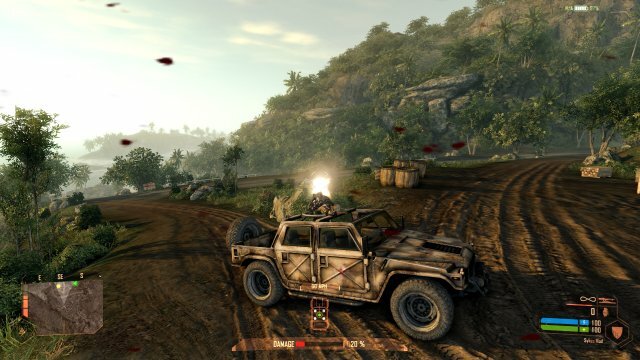 You get funny Korean-accent narration by your enemies, you get explosions all over the place, all of which are designed to showcase the game's stunning graphics quality. And yes, it is stunning. Really lovely. So what. The plot is as childish as it can get. The true metric how serious this game is, I gave it to my father, like I did with Call of Duty, Medal of Honor, and many others. Even at medium setting, my dad pwns these games like a champ. He finished the Black Ops in less than a week. Medal of Honor, in about three days. Crysis, he didn't even bother playing more than an hour, as it was too easy for him. Crysis fails even the senior citizen challenge, so to speak. All right, the game is not bad. But it's simply not interesting. And I really wonder how come this kind of games gets to be praised so widely by just about everyone. Methinks it has to do with the fact lots of gaming sites get free copies for review, so they kind of feel obliged to throw a nice word out there, otherwise they might get ignored and lose their source of revenue. Since no one likes me and no one gives me anything, I can afford to be brutally honest. 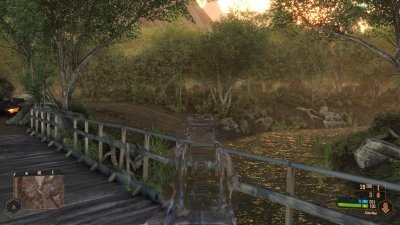 I have nothing against Crysis and the dev team and wish them luck and financial success in their future work, but at the end of the day, the game is just not worth it. Apparently, someone out there agrees with me. One soul. And so Crysis joins the long line of arcade-like would-be realistic first person shooters, right after Call of Duty and Red Orchestra, plus some others I have not yet bothered to review officially. The thing is, when your game is all about graphics, and you get a linear, strict, pre-scripted plot with a million savepoints and effects for the sake of effects, the game cannot be realistic. Fun? Maybe, debatable, but not for me. I need more of a challenge to be able to enjoy a shooter. Grades: Story 5/10, graphics 10/10, fun 3/10, realism 1/10. We're done here.